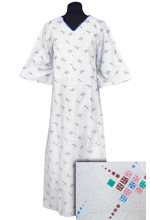 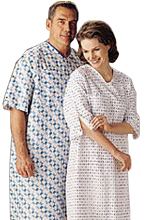 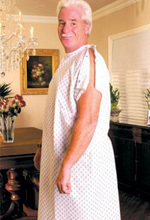 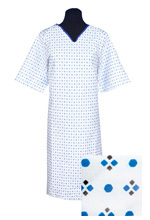 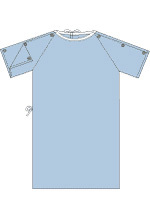 Nursing gown with 50" length and full back overlap. 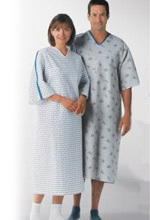 Gown has extra-long, bound slits concealed in inverted pleats for easy nursing and for modesty. 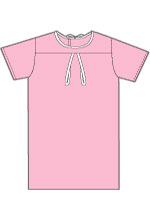 heavyweight polyester and cotton blend.